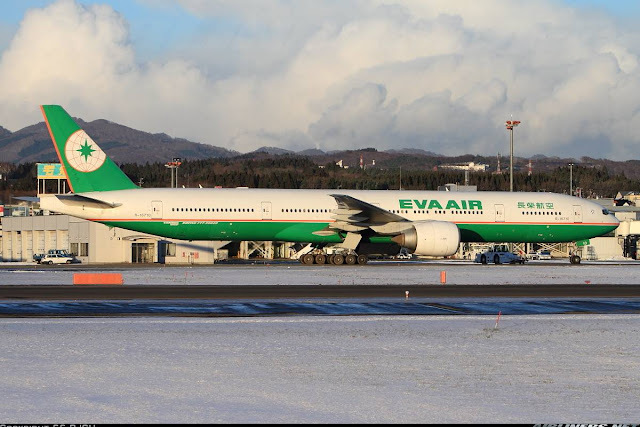 Welcome to my first trip report on EVA Air! Flying on this airline back then was a priority. I always have a soft spot for this airline. The airline before operating the Boeing 777-300ER, operated the Boeing 767-200 and Boeing 747-400 Combi which were common sights. I didn't appreciate much of this airline back then, and should have flown with them if I had the chance, but nevertheless its better late than never. EVA Air has improved a lot these few years. I had a chance to speak to a few staff, they told me that they were looking at improving all aspects of the airline and joining the star alliance. This trip report was done in 2011, a few years before joining the alliance. Service back then were not very good and most were said that China Airlines had the better crew but EVA Air had the better maintenance. My 7th ride on this aircraft type and 5th airline to be flying the 777-300ER. The airline has introduced a new livery for its fleet in October 2015. Taipei was one of the cities I wanted to visit. Finally, I decided to make the move to explore the wonders of Taiwan. In addition, a special friend of mine was spending a few months over here and I could visit her as well. So it was all decided, Taipei and Hong Kong in November. I had long wanted to fly the 74M with this airline and TPE-HKG would provide me with the opportunity. I paid about S$375 for the 'golden route' - TPE-HKG return which was considered quite expensive due to the lack of competition at that time. Only China Airlines, Cathay Pacific and EVA Air were operating this route. So with this decision made, I was to fly with this airline on this routing: SIN-TPE-HKG-TPE-SIN. I also signed up for the airline's mileage programme which means I get to earn some points on these sectors. The old website was not easy to use and had some problems with it. Eventually, I got the payment done and seats selected before I could relax. There was an announcement on the importance of not using electronics during the flight in 3 languages: English, Mandarin and Hokkien (Taiwanese dialect), I wonder whether did they just introduced it or only applies to EVA Air's flights. Looking around, I can use 2 hands to count the number of Caucasians. The majority were Taiwanese heading home I think. As time was ticking quickly and was already 1pm before the announcement of boarding commenced, I knew we were departing late, without any reasons given. Don't you love the wing-rake? If you fly in Elite class, please beware of the PTV box taking up part of your legroom space, your legs have to move to your neighbour's in order to feel comfortable. 38 inches is quite comfortable and even more so if no one seats beside you. Seat cushion wasn't too comfortable, and had to use a pillow to support my back. Reclining the seat was manual, wasn't too difficult to use and at the reclined position, I was able to sleep for an hour or so, partly this also helped by the smooth flight. When there is slight turbulence, I wouldn't be able to sleep. Overall I give it 7/10, certainly not the most comfortable seat out there. Only 3 Hello Kitty aircraft back then, now 7. This was the part I was disappointed with. The first impression was bad, no smiles, tired looking set of crews. 2 young ladies and a older lady served our elite section. Only the older one bothered to go round and check that all of us were alright. Mind you, the elite class was only 1/4 full. When I booked my seat on the website, it showed most of the seats were occupied but it wasn't the case for my flight. I had this feeling that they blocked them out until the day of its flight and I was proven right. My row onwards to the back (3 rows) were empty and one peep at the economy section showed a number of seats at the rear section. Even with this light load, the crews just didn't look happy and one of the younger ones gave me a fierce look for no reason. Maybe it was because I was busy taking photos of the cabin and perhaps I left an impression that it was my very first plane ride, in chinese you call this "Suagu", which means someone who knows absolutely nothing. Wait till the shock they see when they or any of their crew mates come across my blog. *Evil laughter*! This has to be the worst flight I had for this year, no doubt about that. Most of the time during the flight, only the older one appeared and the 2 younger stewardness seem to be somewhere else. I am aware that they had to do a turn around in Singapore which means about 9 hrs in the air, but that doesn't mean they could slack. Some hospitality would have been nice! Almost forgot one thing, I swopped my seat to 27A because the person in front of me 25A (No window at her seat), reclined her seat back, making it hard for me to watch my program and since the rows were empty, I moved behind. The elder crew wasn't too happy but after explaining to her, she accepted it. Now now, what's the big deal about it? I had a choice of noodles (cannot remember) and chicken rice, I chose the latter because I was very hungry at that time. That point of the time, the elder lady served me, without the chicken rice as they had ran out. I waited for a good 10 minutes before getting it. No apology or anything, well at that point of time, I wasn't expecting the service to be any better. This has to be one of the worst airline meals ever ! The chicken was hard, the sauce was saltish and vegetables tasted funny, even the appetizer was not appealing. I saw a couple of Caucausians a few rows in front of me, changed their meal to the noodles and I should have done the same. The dessert was not much better, lemon pie I think, ate it up quickly. Only thing was good was the fruits. For the biscuits, I kept it with me to eat on the bus that would take me to my hostel later on. I never thought I would fall in love with this airline, as some of you would know that this is now my favourite airline after flying on it more than 10 times. This airline has made improvement especially after joining the Star Alliance and unlike my first flight with this airline, now I look forward to every EVA Air flight. For this flight, it was disappointing in the sense that the cabin crew and the in-flight food was below expectation. The cabin crew were not cordial, hardly any of them seemed approachable, they looked like they wanted to get home fast. I hope the return flight would be better. Was it? 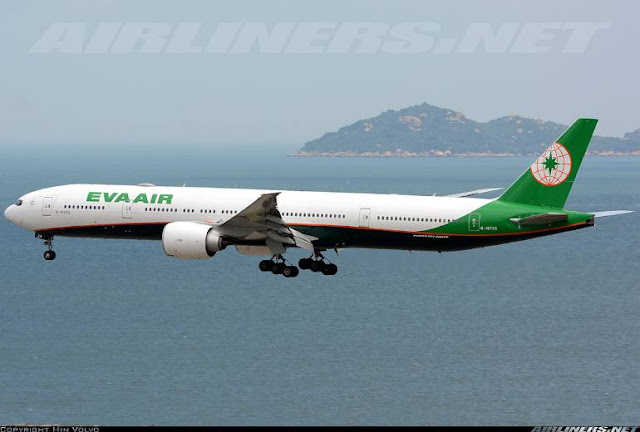 Do check out my part 2 of my EVA Air flight experience. 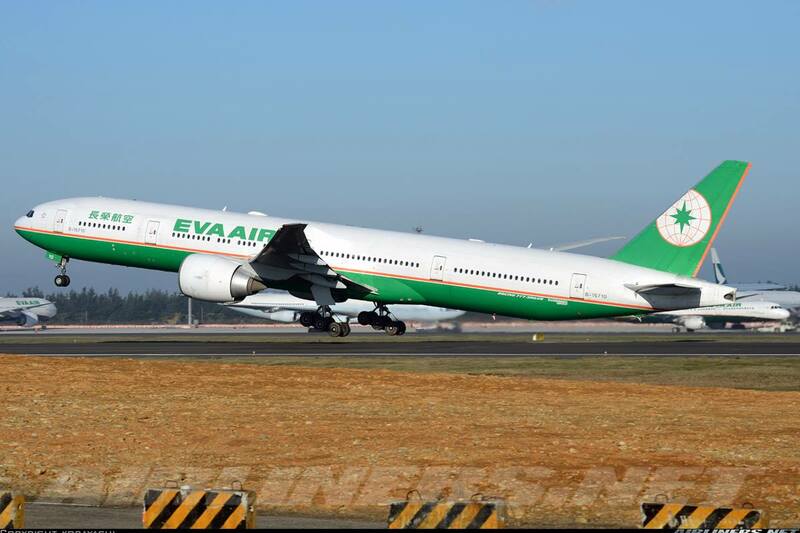 Thanks for reading my first trip report on EVA Air. You may want to drop a feedback note to EVA with a link to this blog post will be good. My mum had a rather pleasant experience at economy section about 5 years back, so it's quite sad that the standards have deteriorated this much, especially considering that you are in the elite section. Yes, Jenny. I would do that. Service on board despite being an Asian carrier, was shocking. Nah, my first impression of Taiwan wasn't affected by the airline. Hopefully my next few flights with them would be better. Thanks for your feedback! Cheers.